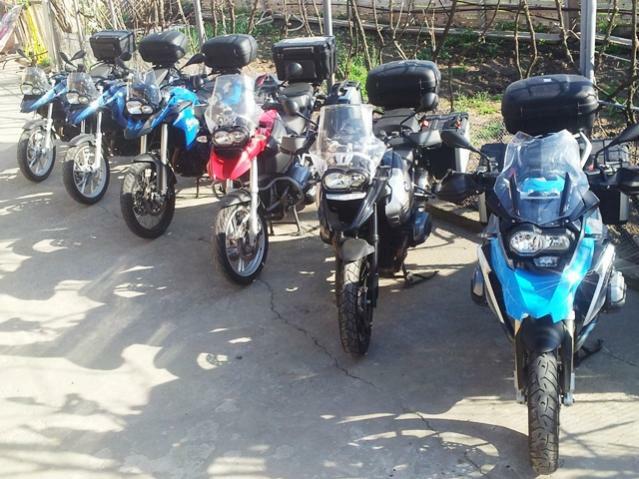 We are a highly motivated team and our company goal is to offer you the best motorcycle tours, the best sightseeing and the most famous legends. Romania is a country of freedom… join us on a perfect tour…we visit legendary castles, we discover wild Danube Delta, we learn culture and traditions, taste our famous wine and visit old monasteries! We have the pleasure to inform you about our new Motorcycle Tours for 2011! 8 days with castles, mountains and the famous Transfagarasan road! 12 days of discovering the traditional regions of Romania, monasteries, castles and mountains! 9 days enjoying wild and extraordinary landscape! Join us in our great tours and discover an amazing country! We have the pleasure to inform you that for early booking until January 31st 2011 we offer 10% DISCOUNT for all motorcycle tours and motorcycle rentals. Spring has arrived. The new season is approaching fast. Visit www.rideinromania.com to see 2011 tours and our motorcycle available for rent. We are pleased to announce that we have a SPECIAL OFFER at Easter. "Book a tour or rent a motorcycle on Easter period and get 10% DISCOUNT. Offer available until the end of April for all the tours and motorcycle rental in 2011." We are pleased to announce that starting today we have a new special offer. Book a tour or / and rent a motorcycle this summer and get 15% DISCOUNT. Take advantage of our special promotion for discovering beautiful Romania! I know that my last visit was a long time ago and I am sorry for that, but I want to let you know about our motorcycle fleet. Below you can find a picture with our fleet.